There is no indication of aid or commerce coming into Yemen through the key port of Hodeidah despite Saudi Arabia's December 20 pledge to lift the blockade for a month, an RT Arabic crew has discovered. Two days after Houthi fighters fired a missile at Riyadh on November 4, Saudi Arabia sealed air, land and sea access to Yemen in an attempt to stop alleged 'arms smuggling from Iran.' 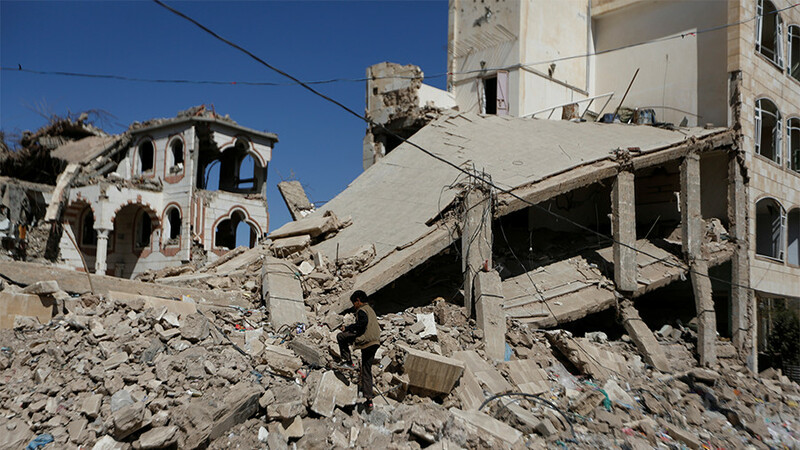 Following a massive outcry from the UN and various aid agencies which warned of a humanitarian disaster, Riyadh agreed to lift the blockade of the Houthi-controlled port of Hodeidah temporarily on December 20. 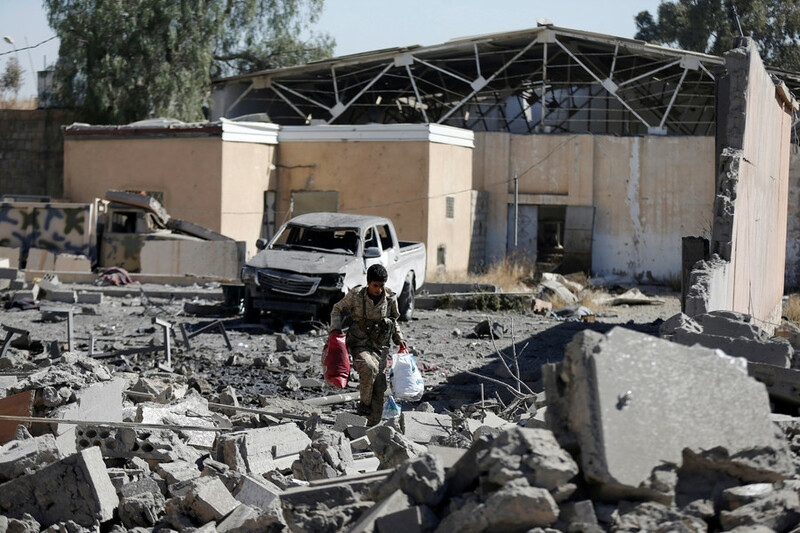 “The port of Hodeidah will remain open for humanitarian and relief supplies and the entry of commercial vessels, including fuel and food vessels, for a period of 30 days,” the Saudis said at the time. Two weeks after the announcement, the port remains empty. No merchant or relief vessels are seen anchored at its harbor and no much-needed aid is flowing into the country suffering from a humanitarian catastrophe. The port manager confirmed to RT Arabic that the sea-hub had processed only two vessels that had old permits. The blockade, he said, is till very much in effect. "If the blockade isn't lifted, we won't be able even to imagine its consequences. Humanitarian organizations have amplified its warnings of the worst catastrophe in the history of Yemeni people," Yahya Sharaf, Deputy Head of the Red Sea Port Authority in Hodeidah, told RT. Meanwhile, UN Emergency Relief Coordinator, Mark Lowcock, noted some "progress" in opening Yemen’s critical Red Sea ports to commercial fuel and food shipments, and announced the allocation of $50 million of aid relief amid ever-growing concerns of a humanitarian catastrophe. With no ships in sight in Hodeidah, it's hard to convince the locals that aid and hope is on its way. For now, some 4,000 port workers are deprived of any means to survive. 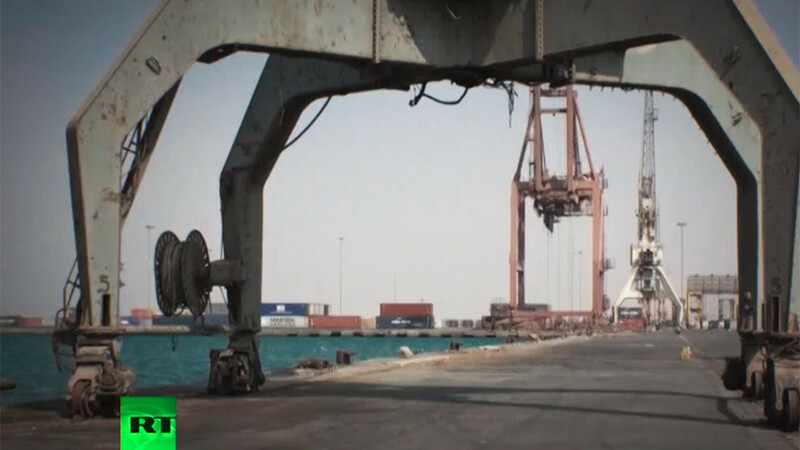 Akram Abdo, a supervisor at the harbor noted, "As you can see, the port of Hodeidah is empty, there are no ships at the berths." "We don't know where to get livelihood. We are on the brink of begging for food. People die from starvation... I have nothing else to say. It's cheaper to die and it's better than living like this," said Ali Dervish hopelessly, another port employee. 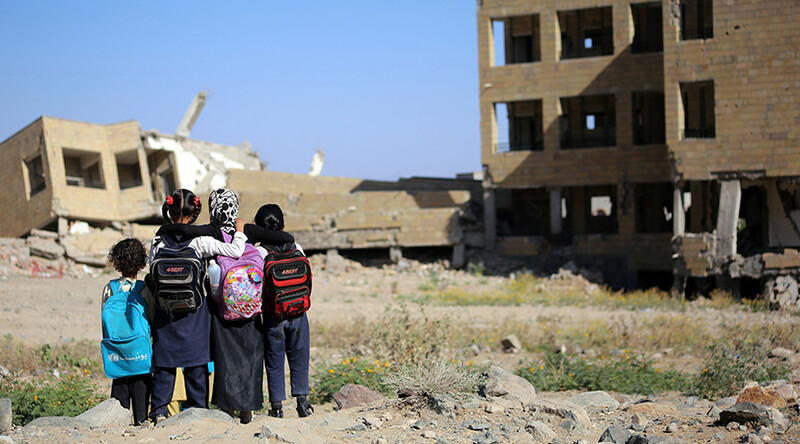 Over 75 percent of Yemen's 27 million population, including 11.3 million children, are in dire need of humanitarian aid, the UN said ten days after Saudis had supposedly lifted the blockade. 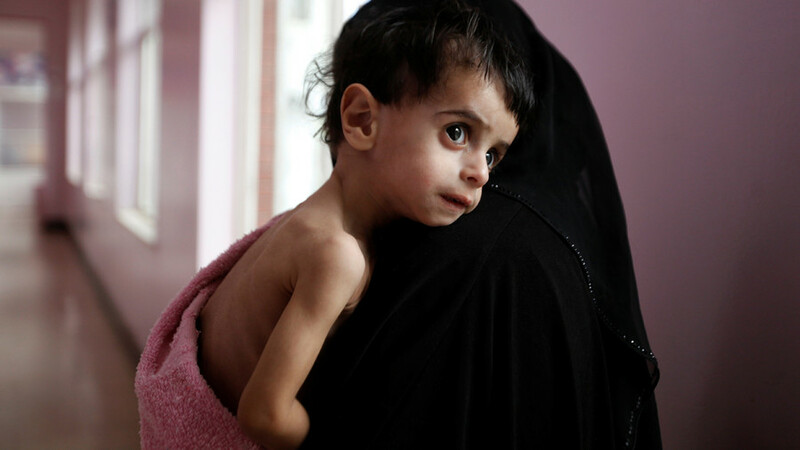 At least 16 million people do not have access to clean water and proper sanitation, while over 60 percent of Yemenis are on the brink of starvation. The three-year-old conflict has so far claimed the lives of at least 10,000 people. Speaking to RT, representatives of humanitarian and relief agencies empasized the importance of lifting the blockade immediately. "As far as we know the decision stands to reopen the port of Hodeidah temporarily. 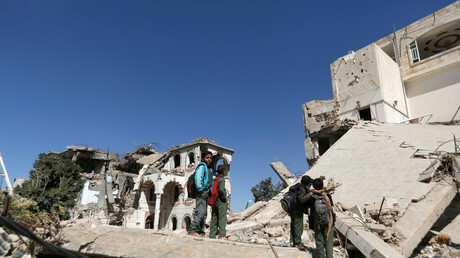 The flow remains slow," Ahmed Benchmsi from Human Rights Watch told RT. "It has been underlined repeatedly by the whole human rights and humanitarian community that the port of Hodeidah needs to be open for commercial and humanitarian goods. Full stop. That's it. There should be no condition or timeline to that." Benchmsi said the blockade continues to endanger the lives of civilians, including women and children, calling the restriction a "violation of international humanitarian law." 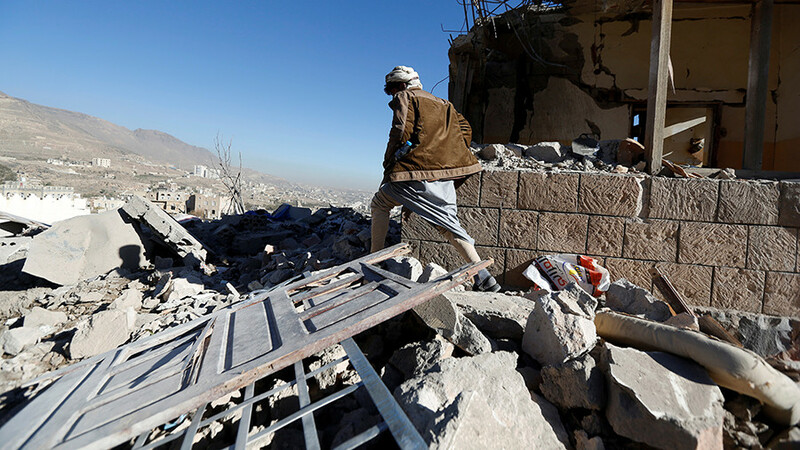 "You have to remember that Yemen is country that depends on imports. Ninety percent of its needs are from imports," Yehia Khalil from the Yemeni Red Cross explained in an interview with RT. "When you have restrictions on imports, when people cannot have enough to eat and to feed their families every day, this is when you see the bigger picture of things."